We are very grateful to the Antipode Foundation for making this unique and transformative project possible, which was completed in June 2017. In collaboration with NZ Māori Tourism and Lewfu Budi, a Hui-Trawün was hosted in Aotearoa New Zealand to foster spaces of collaboration and co-inquiry between Māori and Mapuche representatives. Centred around Indigenous tourism as a form of activism, the Hui was extended to incorporate also aspects of autonomous Indigenous education and as well as the decolonisation of gender relations. This was due to the current priorities and interests of those involved, and added unexpected layers of learning and reflection. The format of the Hui was changed from a workshop type of meeting originally considered, to extensive in situ visits to initiatives and key people by the Mapuche representatives in Aotearoa. This involved travelling across both the North and South Islands for 11 days between 6 and 19 October 2016. Although this affected the ability to conform to a formal network as planned, it proved to be a wise decision as it accommodated well the diversity of topics and initiatives covered. More importantly, it enabled in-depth, intimate and open conversations. This allowed enough time for different forms of encounters in “placed”, embodied and lived ways, including appropriate protocols such as pōwhiri, sharing food, stay-overs, and enough time and space for extensive conversations, storytelling or very specific discussions. It also led to an embrace of the diversity and complexity within Māori and Mapuche perspectives, engaging with each one of them on their own terms, and fostering deep connections that would have been much more difficult to realise in a collective workshop. Three Mapuche manuhiri who visited Aotearoa: a) a leader in Mapuche tourism activism (Pablo Calfuqueo); b) a teacher and founder of the first and only autonomous Indigenous school in Chile (Roberto Contreras); and c) a leader of a Mapuche women’s association also involved in Mapuche tourism (Nadia Painefil). Representatives of six Māori tourism initiatives ranging from family-based and/or emerging ones, to national leading tourism companies. Four advocates of Māori tourism working in different settings (at local, national and international organistions). Principals, teachers and/or lecturers of seven Māori education initiatives ranging from primary and secondary schools, to Wānangas (tertiary education institutions) and after-school programmes. Also, there were a number of meetings with Māori activists and leaders of different groups throughout Aotearoa, as well as academics from VUW and Auckland University, authorities such as ambassadors and a former Governor-General, and members of the Latin American community in Aotearoa. The impacts of this Hui are still being felt. First, it was a deeply transformative process for all those involved directly to different degrees. Many of the participants who because of time, circumstances or affinity engaged more deeply in these encounters, it opened spaces for deep conversation involving demonstrations of solidarity, encouragement, shared pain and histories, strategizing, and asking and being asked hard questions. A large number of participants mentioned verbally or in written form that this was a unique experience, definitively more powerful and enabling than any other exchange experiences they have had (in tourism or education settings). But the impacts and learnings have extended beyond those who took part of the Hui. The Mapuche representatives have given presentations for their direct organisations (Kom Pu Lof school, Lewfu Budi tourism association, and Apoyo Mutuo Mapuche women’s organisation). They have been invited to speak at national and even international audiences in encounters in Chile in different meetings and forums, including more recently the World Indigenous Business Forum. There have been on-going contacts between Mapuche and Māori counterparts, and even the visit of a Māori representative to Llaguepulli community in Chile in October 2017. These exchanges have fostered the leadership, networks and shared voice of Mapuche and Māori participants. For instance, building on networks created in Aotearoa, Lewfu Budi has become a member of WINTA (World Indigenous Tourism Alliance), and there are plans for a shared presentation in the next WINTA conference to be held in Aotearoa in April 2018. Other unexpected outcomes of the Hui include the current work of a Masters student in Environmental Studies (VUW) working on an exchange between children attending Mapuche and Māori autonomous schools using visual methods, and the prospect of another student going to Llaguepulli to do her thesis with Apoyo Mutuo in 2018. Also, as a result of their visit last year, a fundraising event was conducted in Wellington in 2017 to support Kom Pu Lof school, with a number of artists and community organisations becoming involved. In terms of publications and writing, although internal reports and/or diaries have been written by different participants, an agreement was made not to share them publicly but only within certain circles. This is mainly because too many of the more meaningful learnings were deemed too intimate, too private and/or to require confidentiality. This has also meant that plans for an academic article have been stopped at least for now. Oral presentations and sharing has been deemed acceptable though. The Hui-Trawün contributed to radical geographic scholarship and practice by fostering an Indigenous-centered space of co-inquiry and practice. It has influenced practices, ideas, networks, and aspirations through spaces of solidarity across Indigenous peoples that are providing more nuanced and decolonised understandings of the contested ways in which Indigenous peoples engage with and rework Indigenous tourism, education and gender in a neoliberal context. There have been a number of small bumps along the way in implementing this project, mainly to do with ensuring fluid communication and coordination across countries and cultures, but they have been solved somewhat successfully. Probably the biggest issue that holds these networks and relationships from strengthening even more is the language barrier. There is a clear vision that at least one or two Mapuche representatives from Llaguepulli need to be supported to strengthen their English, so they can participate more directly in international forums and with their Māori counterparts, without the need of intermediaries or translators. 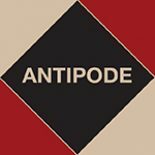 Again, we thank the Antipode Foundation for this unique opportunity, and wish you all the best supporting more radical initiatives around the world.